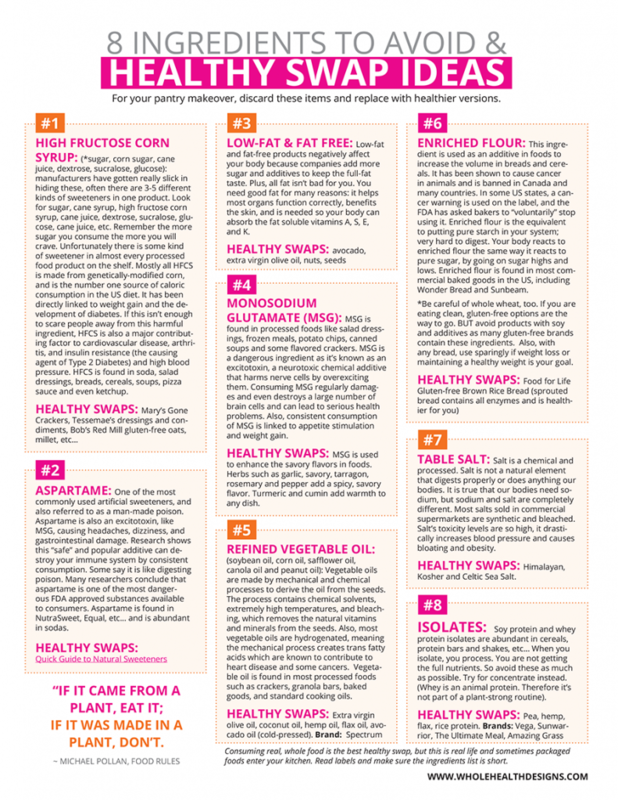 8 Ingredients to Avoid & Healthy Swap Ideas. Click on the image below to get your free download. As always, I’m here for you so if you have any questions please contact info@wholehealthdesigns.com.